Especially for students who want to broaden their horizon, the faculty offers an intensive Exchange programme. A good way to get acquainted with new technical knowledge and creative ideas from abroad. 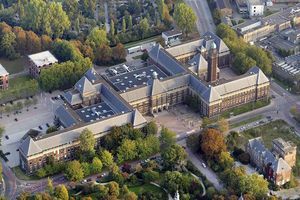 The TU Delft Faculty of Architecture and the Built Environment offers a wide variety of courses to foreign students. Exchange students choose their programme from fixed packages offered by the faculty. During the Autumn semester (starting in September) the incoming master students have a choice of our Master 1 packages and for Bachelor students we offer English taught bachelor Minor programmes. The course catalogue for the academic year 2019-2020 will be updated around May 2019. Students should base their study plan on the current version of the course catalogue, bearing in mind that changes may occur next year. During the Spring semester (starting in February) we will offer a MSc2 design course + 3 elective courses (the options will be communicated later). We do not offer any Minors in the Spring semester! So BSc/undergraduate students can only apply for the Autumn semester. We work with fixed course packages. You will be informed about the exact content of the packages after you are nominated by your home university. It is not possible to choose other courses than offered or combine packages. It is however possible to choose only part of the course in one course package. Exchange students are students participating in the Erasmus+ programme, or students from a university that has a bilateral agreement with TU Delft. To see if your home university is a partner, please check following website. do not have to pay tuition fees at TU Delft. If you wish to continue your studies after the exchange period, you will have to follow the regular application procedure for international Master students.